We pride ourselves in supplying a friendly, professional service with an end product you'll cherish forever. 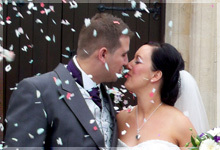 Please take a minute to read a few of our testimonials from the lovely couples we've worked with. 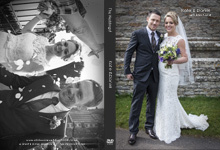 Just received & watched our Wedding on DVD filmed by White Rose, the box of tissues was at the ready and boy were they needed...to see the day all over again was incredible, Martin captured every moment amazingly. You get to see everything again that's worth watching over & over again. 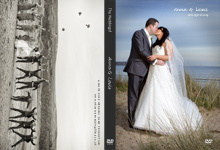 In my view a complete MUST for the wedding wish list & money well spent. To see the guest arrival was special as obviously on the day that's something the Bride doesn't get to see. We were recommended by a friend to use White Rose & I too shall be recommending. Thank you for a truly wonderful wedding DVD. You have captured every magical memory and more from our special day, you feel like, your re-living the day all over again. We laughed and cried all the way through it. 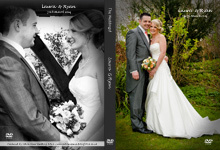 We are so pleased we chose White Rose Wedding Films, it blew away our expectations. 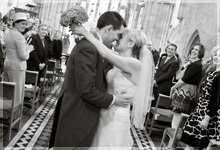 We may be biased but it excels any other wedding film we have seen in the past. We are so proud to show friends and family and would not hesitate to recommend to others. We have received the DVD's and I'd like to say what an amazing job you have done. You have captured all the best parts of our day and we are both really happy with the footage so thank you. Thank you so much Martin for our amazing DVD it has brought back some incredible memories and was lovely to see the day all over again. You did a fabulous job. Thank you very much. I would recommend you to everyone I know. 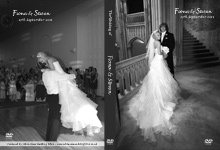 The DVD is perfect and showed our wedding for the amazing day it was!!!! You capture so many parts that we had already forgotten about and parts we didn't get to see ourselves. The DVD is invaluable and will mean we can watch our day over again in the future!!!! 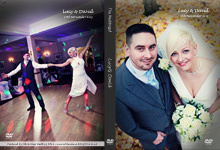 Our wedding DVD is brilliant, it captured every part of our special day. Excellent job! Recommended to everyone. 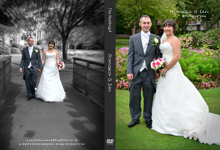 Amazing DVD that caught every moment of our precious day, very professional! We didn't even know they were there! Would 100% recommend White Rose Wedding Films. 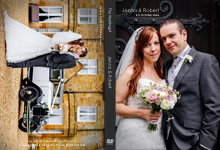 We would like to say what a wonderful job you did with capturing all the special details from our wedding, we are truly delighted, so thank you! Wedding Location: Glen Yr Afon, Usk, South Wales. Hi Martin. 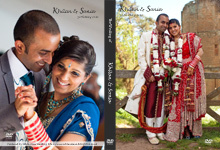 We have received our wedding DVDs and absolutely LOVE it- thank you so much! You've done such an amazing job and cannot wait to show it to others! Honestly we couldn't have asked for more it's perfect!! Best wishes, Andrea and James. 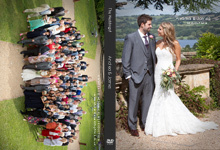 Wedding Location: Combe Lodge, Blagdon, North Somerset. We have received the videos Thursday and watched it over the weekend. Thank you very much for capturing a lovely day or ours, we loved the video and will treasure it for ever! The timing of the songs you played in the film and the different camera angles gave the film an extra special touch. I (Shelly) cried when I watched it as it brought back to me what an amazing day it was! Thank you for your hard work on this. We look forward to showing the rest of our friends and family now! Wedding Location: Coed-Y-Mwstwr Hotel, Coychurch, Nr Bridgend. I cannot thank you enough for our Wedding DVD. It was amazing. We think you captured the mood of the whole day perfectly. It was the best day of our lives and this DVD will serve that memory well. Again thank-you so much for this. Thank you so much. We absolutely loved it, it showed all the special moments and a lot we didn’t see of course! Thank you so much for a wonderful account of the day we are so happy with it. 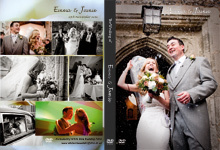 All our friends and family who have watched the DVD, are blown away by its quality and we will definitely be recommending White Rose Wedding Films to anyone who tells us they are planning to get married. Thank you so much Martin for giving us such a great memento for us to cherish. 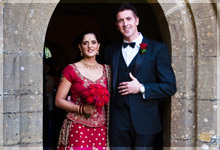 Wedding Location: Cwrt Bleddyn Hotel & Spa, Usk, South Wales. "Wow what can i say fantastic we laughed and cried, you're very good at what you do. Me and my family would like to thank you so much." Wedding Location: The Manor Hotel, Crickhowell, Powys. 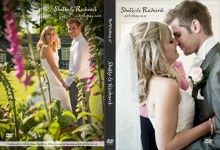 Just wanted to say a BIG thank you for our DVD - it's absolutely wonderful. We are both so pleased with it. Wedding Location: Peterstone Court Country House, Llanhamlach, Brecon.